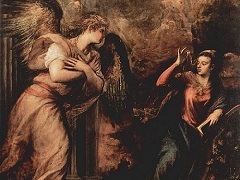 Titian was neither such a universal scholar as Leonardo, nor such an outstanding personality as Michelangelo, nor such a versatile and attractive man as Raphael. 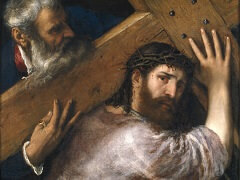 He was principally a painter, but a painter whose handling of paint equaled Michelangelo's mastery of draughtsmanship. This supreme skill enabled him to disregard all the time-honored rules of composition, and to rely on color to restore the unity which he apparently broke up. We need but look at (also known as "Madonna with saints and members of the Pesaro family") which was begun only some fifteen years after Giovanni Bellini's 'Madonna with saints' to realize the effect which his art must have had on contemporaries. It was almost unheard of to move the Holy Virgin out of the center of the picture, and to place the two administering saints - St Francis, who is recognizable by the Stigmata (the wounds of the Cross), and St Peter, who has deposited the key (emblem of his dignity) on the steps of the Virgin's throne - not symmetrically on each side, as Giovanni Bellini had done, but as active participants of a scene. 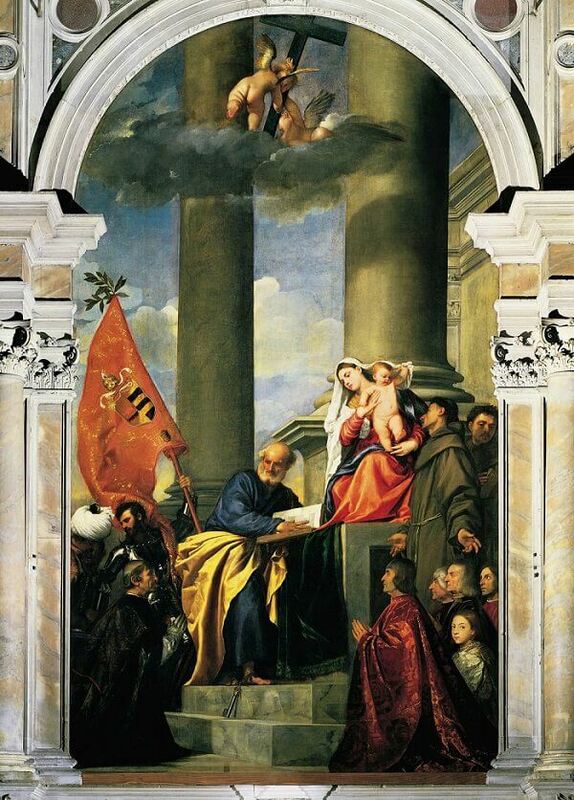 In this altar-painting, Titian had to revive the tradition of donors' portraits, but did it in an entirely novel way. 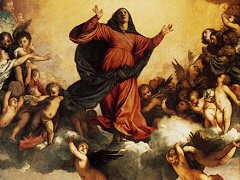 The picture was intended as a token of thanksgiving for a victory over the Turks by the Venetian nobleman Jacopo Pesaro, and Titian portrayed him kneeling before the Virgin while an armored standard-bearer drags a Turkish prisoner behind him. St Peter and the Virgin look down on him benignly while St Francis, on the other side, draws the attention of the Christ Child to the other members of the Pesaro family, who are kneeling in the corner of the picture. The whole scene seems to take place in an open courtyard, with two giant columns which rise into the clouds where two little angels are playfully engaged in raising the Cross. 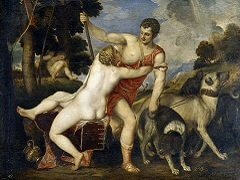 Titian's contemporaries may well have been amazed at the audacity with which he had dared to upset the old-established rules of composition. They must have expected, at first, to find such a picture lopsided and unbalanced. Actually it is the opposite. 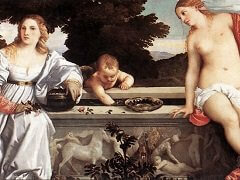 The unexpected composition only serves to make it gay and lively without upsetting the harmony of it all. 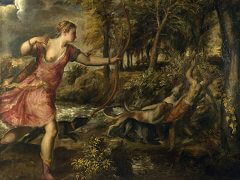 The main reason is the way in which Titian contrived to let light, air and colors unify the scene. The idea of making a mere flag counterbalance the figure of the Holy Virgin would probably have shocked an earlier generation, but this flag, in its rich, warm color, is such a stupendous piece of painting that the venture was a complete success.